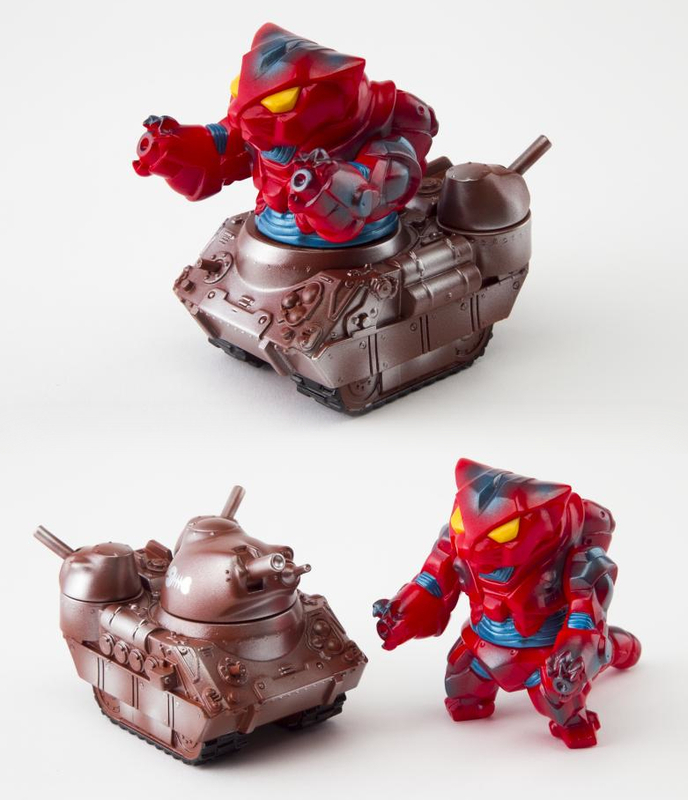 “Steel” Set A (above)- Originally making a limited appearance at the recent Gals + Makino-san exhibition last week, Set A consists of the recently released Mecha Nekoron Mk III in a red soft vinyl with metallic blue/yellow sprays, and the Kaiju Tank in brown vinyl with silver accents. Priced at just 8,000yen ($78) plus shipping, the set can be found in-store here. 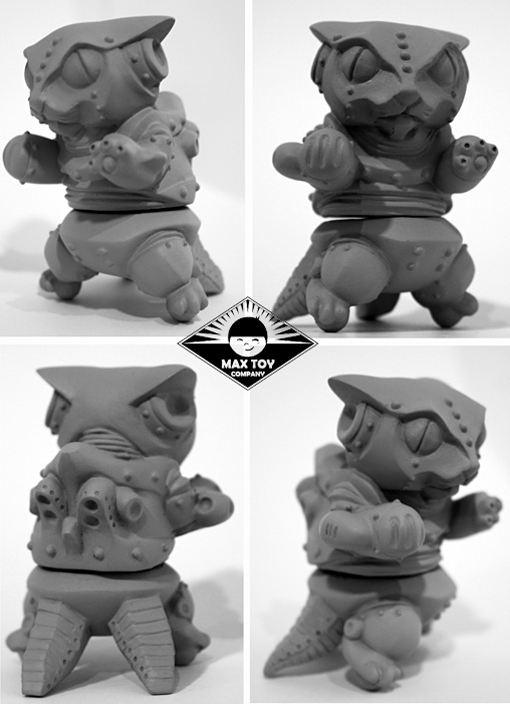 “Steel” Set B (below)- Making it’s debut at Design Fiesta 39 a couple of weeks back, Max Toys’ towering Sheri robot returns for this set! 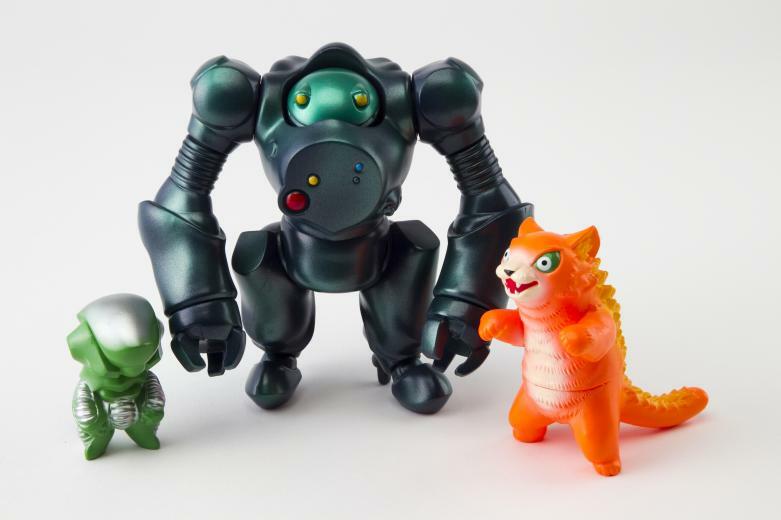 Coming in a “Godzilla” blue vinyl with metallic sprays, the 5.5″ tall figure is joined by a fully removable “Abigail” pilot in mint green and a Negora in orange. 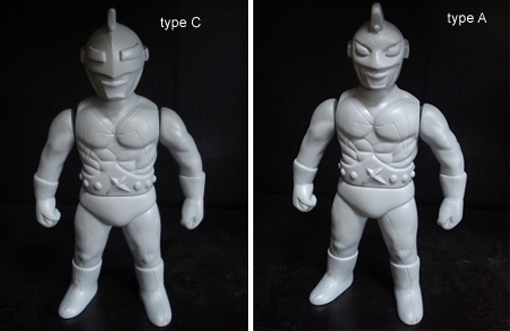 Priced at 9,000yen ($88) plus shipping, check out Set B right here.